Calling all ladies! It’s that time of year again. Valentine’s Day is upon us and love is in the air. This time of year doesn’t just have to be for the significant other in your life. Show your gal pals your love, too! It’s time for Galentine’s Day! While celebrating the spirit of this day on February 13th, you can be single or in a relationship to enjoy this holiday with your best gal pals. 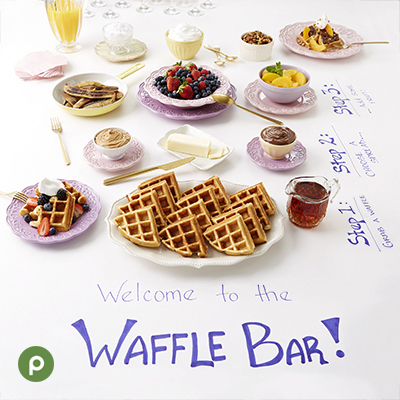 Welcome to your one stop shop for your Galentine’s Day party! You can start by choosing a theme and decide how you want to decorate. You can dress up your party area with some simple additions like flowers, streamers and balloons. If you like DIY projects, create your own heart garland by cutting hearts out of construction paper, punching a hole in them, then attaching them to yarn. You can also make cute name cards by cutting out smaller hearts, writing a name on the heart, pasting them on toothpicks and adding it to pieces of chocolate. Other options your guests might enjoy include setting up an ice cream sundae bar or a popcorn bar. Dessert options are always a must. These Strawberry Cookie Bites would be an enjoyable addition to your table, and you can also have some classic Red Velvet Cupcakes at your party. 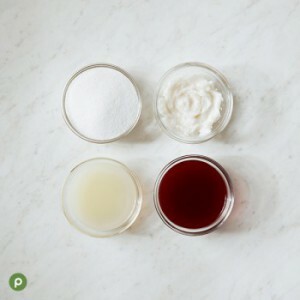 Keep the party going by creating an exciting party favor like a sugar body scrub that you can make with your friends, and they get to take it home when they’re finished. 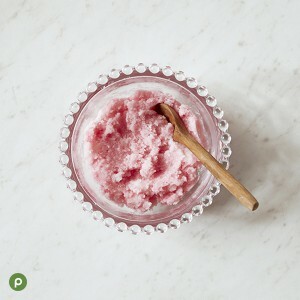 This Pink Lemonade Sugar Scrub recipe is great, smells amazing and will leave your skin soft! Place the coconut oil in a microwave safe bowl and heat for 30 seconds or until melted. Add sugar, then mix well. Add the lemon extract and mix well. Add a drop of beet juice for coloring and mix well until the color is spread evenly throughout the scrub. This should turn the scrub pink! Pour into a container, such as a mason jar. Finish your party by playing Pink Elephant –it’s like White Elephant, but pink for Galentine’s Day! How does this work? Each person brings one wrapped gift. The first person chooses one present from the pile and opens it. The next person to choose can either take an opened package from a previous person or they can choose a new gift from the wrapped pile. If your gift is stolen, you may choose to steal someone’s opened gift or unwrap a new one. This continues until everyone in the group has a present. The best part of Galentine’s Day is that you get to celebrate with your friends and have a fun party together! Tell us how you’re going to spend Galentine’s Day this year on Facebook, Twitter and Instagram.